It could be said that the Fiat 500 is one of the most anticipated small car offerings to be sold in the U.S. since the introduction of the MINI Cooper in 2002. 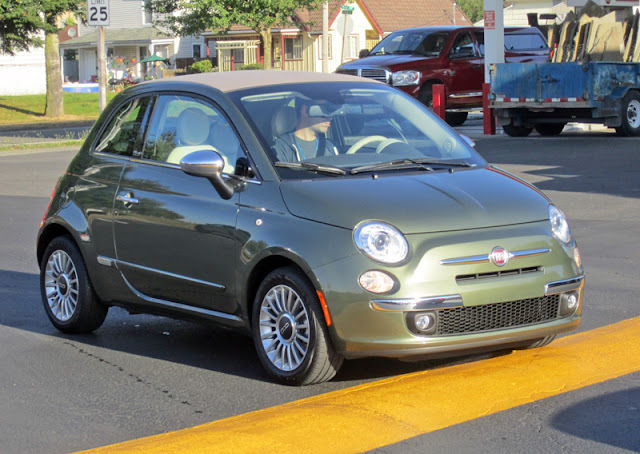 I got a chance drive the latest 500—the cabriolet variant, or 500c—last week. At certain angles, it's hard to tell that this is even a soft top. However, from the rear, it becomes apparent. 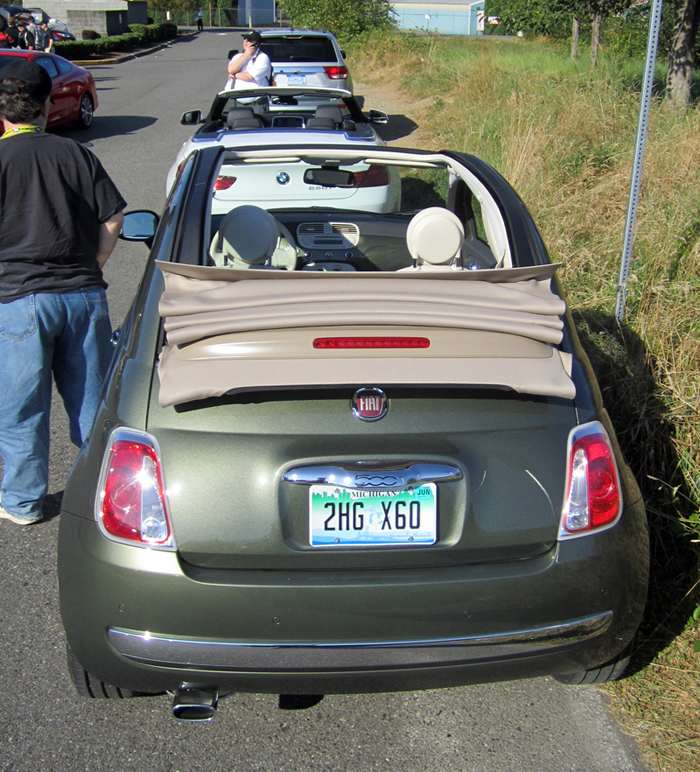 Unlike most "convertibles," The 500c uses a sliding soft top, which maintains the car's rear pillars. Essentially, it's just the center section that retracts, starting at the windshield and ending at the top of the tiny trunk. In fact, the top can be lowered and raised while driving, up to a certain speed, of course. The 500c Lounge's interior (the Lounge is a step up from the "Pop" trim level) confirms the fact that this is a premium subcompact, much like it's MINI competitor. There's leather, nicely made materials, and a great design. And yes, that's a white steering wheel—something that'll need frequent cleaning to maintain its brilliance. Driving dynamics are very good. 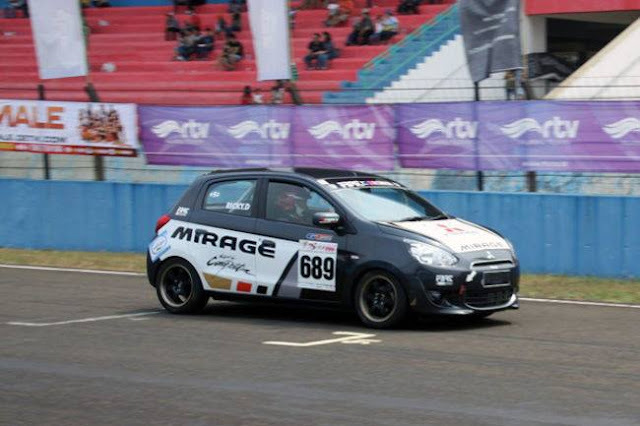 The car feels very nimble and is a lot of fun to throw into corners. 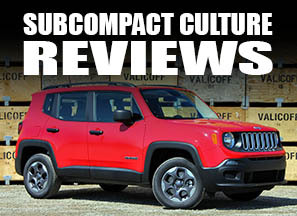 The Lounge model comes standard with Fiat's six-speed automatic transmission mated to the sophisticated 1.4-liter Multiair four cylinder making 101 hp and 98 ft. lbs. or torque. This combo does have a shift-it-yourself "manumatic" feature, too. 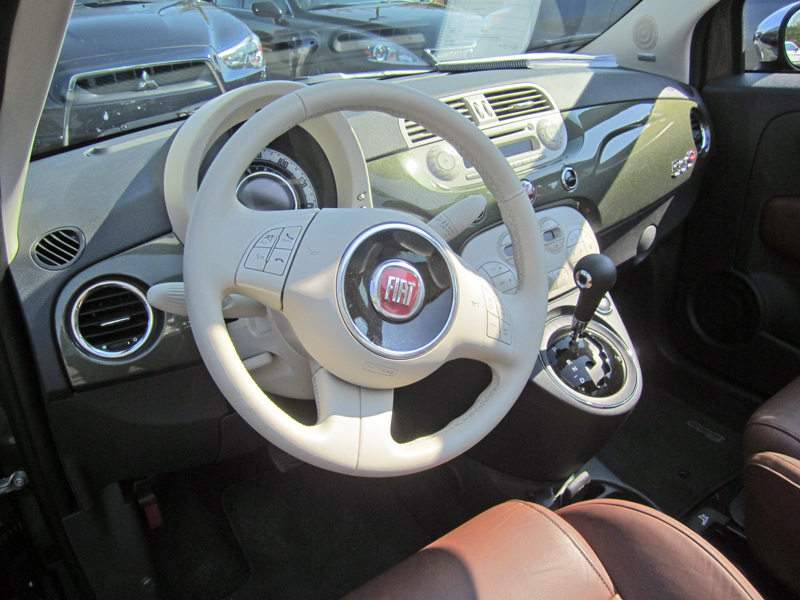 The 500c is available with a five-speed manual transmission, but only on the "Pop" trim level. When I drove this car it was nearly 90 degrees outside and we had the air conditioning on most of the time, and there were two of us inside. So, naturally, the car didn't feel as fast as it would with no AC, a five-speed manual, and just one person. Regardless, it didn't have any issues keeping up with traffic. This is, of course, not a speed deamon, at least in a straight line. Of note: a very upright seating position and you sit in the middle of the vehicle. Also, the top felt very durable and was exceedingly quiet. My overall first impressions were favorable: A comfortable, chic convertible that drives as well as it looks. The power top is very cool, and is easy to use. I prefer a manual transmission, but the six-speed auto does its job admirably. A 500c Pop starts at $19,500. This Lounge model can be had starting at $23,500; this version was around $25,000. This puts it on par with the MINI Cooper Convertible in terms of pricing, too. 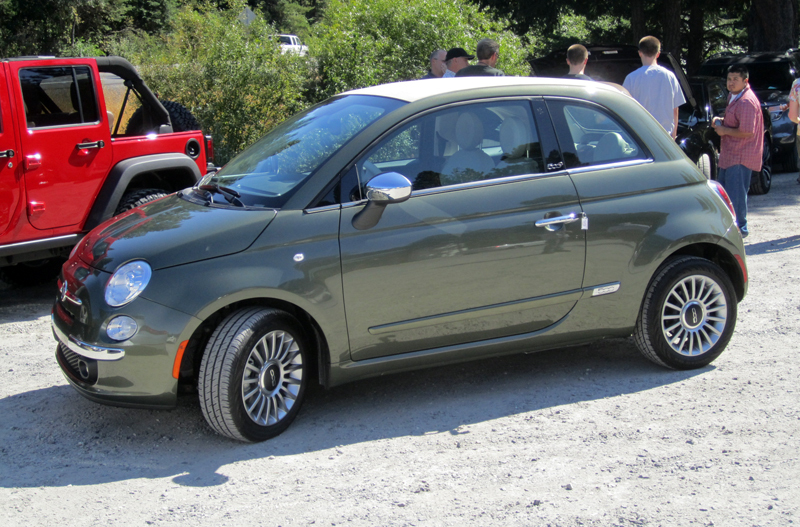 So Fiat's diminutive 500c is a lot of fun to drive, feels solidly built, and is priced competitively. Will it have what it takes to challenge MINI for European small car supremacy here in the U.S.? We'll have to wait and see. However, from my short time with the 500c, I'd say it's a worthy competitor. I wondered what happened to the Sport trim; looked and I guess it's not offered on the convertibles. It looks like the one to have is the Pop coupe with sunroof at $16,850. I'm surprised the Lounge is still auto-only for 2012 - apparently so far the take rate for manual transmissions is 70%, and would be higher if it werent for supply issues. Pleasant surprise there. Less pleasant is the fact that with the 2012s, Fiat has taken down their beautiful launch configurator and replaced it with the standard Mopar online build-and-price template with its' small pictures, heavy reliance on charts and pop-up dialogue boxes saying thinks like "To add Seats-Red you must remove the following items: Seats-Gray." (Duh.) Suddenly it's 2005. The six-speed automatic transmission usually manages to find the right gear, though the more aggressive Sport mode does it better. The five-speed manual gearbox sometimes felt sloppy, but we had more fun rowing through those gears than we did while driving the slushbox version.